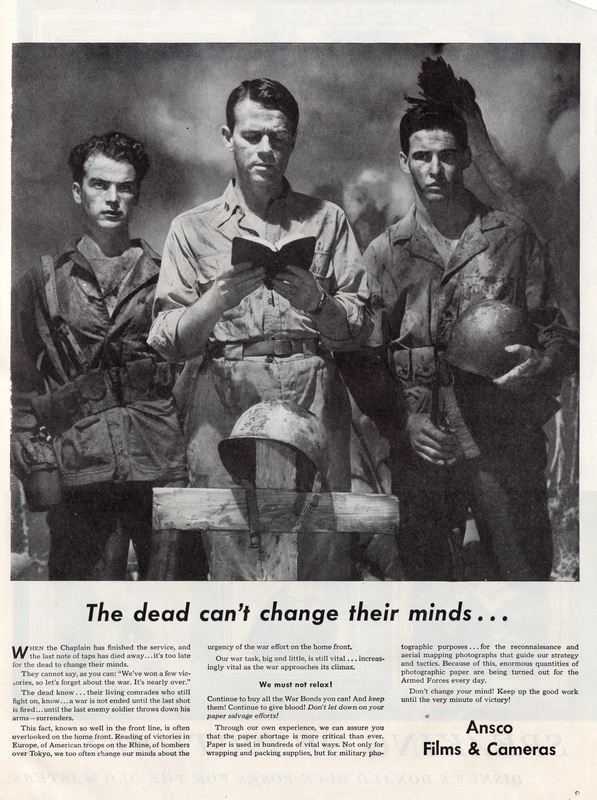 Advertisement/PSA by Ansco Films & Cameras in a WW2-era magazine which refers to chaplains and Soldiers killed in action (author’s collection). 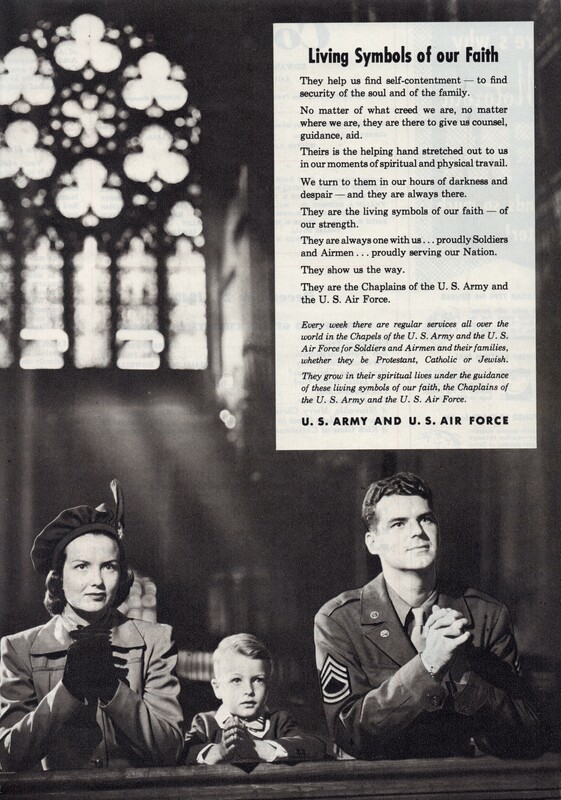 Full page advertisement in “Collier’s” (The National Weekly) on 24 December 1949 extolling the work of chaplains in the Army and Air Force. 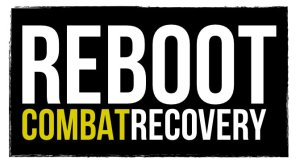 Just a couple of years after the Air Force became a separate service from the Army (author’s collection). 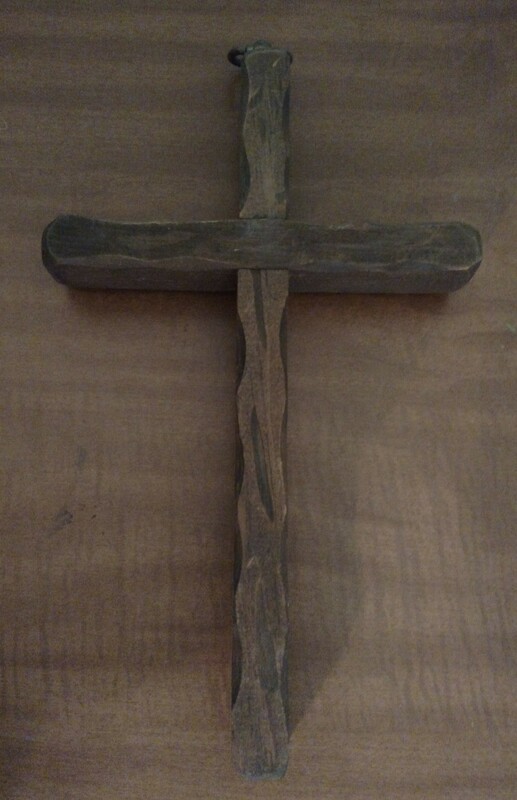 Modern day “Trench Art.” This cross is said to have been handmade by Jamie Bates while deployed to Afghanistan with the Army Reserve (author’s collection). Ribbon bookmark commemorating the last service of the Traditional Protestant Service at the Memorial Chapel on USAG Yongsan, South Korea (author’s collection).